A beautiful set of 2 Fantail Peacock Tree Decorations. 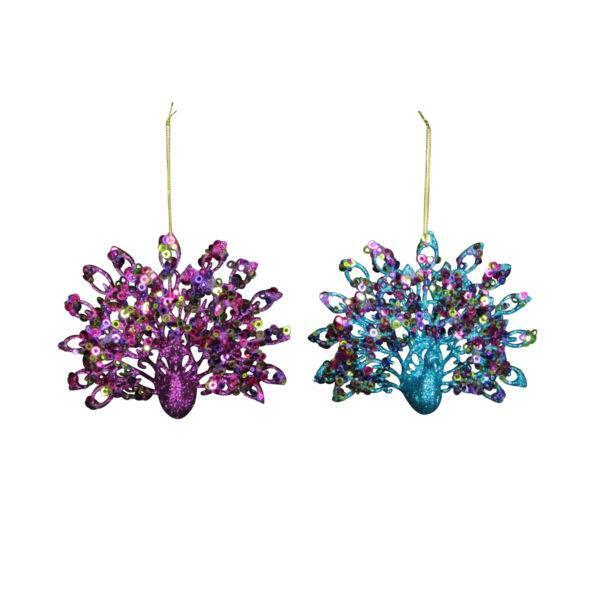 Add a colourful touch to your Christmas tree with this set of two Fantail Peacock tree decorations from Gisela Graham. 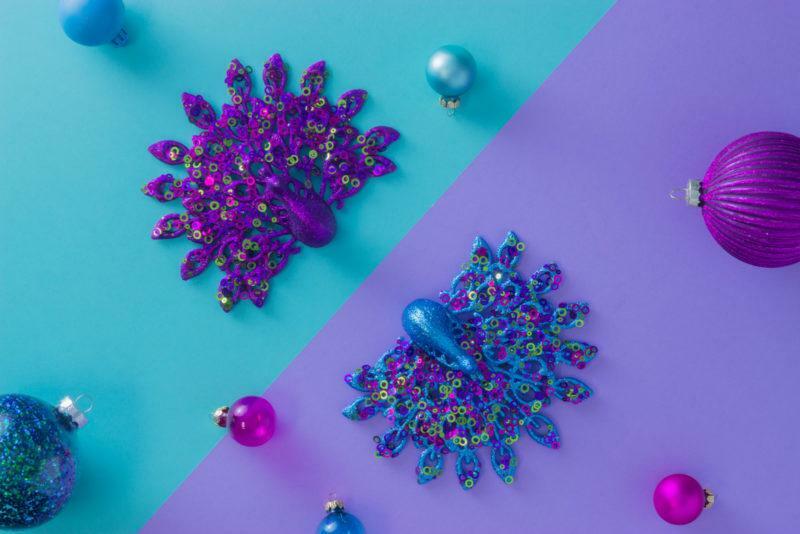 Adorned with vibrant sequins, these decorations are in the shape of peacocks and their fantails in bright peacock tones.